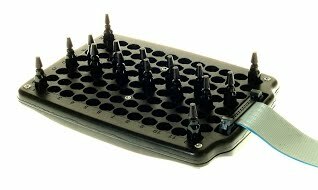 Adding a temperature verification of your thermal cycler block (or blocks) is a great way to beef up your SOP's to ensure that your PCR runs smoothly. Here at TheLabSquad we run a 12 point (probe) test as part on our standard PM procedure. It only takes about 15 minutes per block but you wind up with a graph of the ramps and a PASS/FAIL score. This is done using an ISO 17025 certified tool that is calibrated annually. As with any process, ensuring that your major variables are accounted for upfront makes a huge difference in your end results. So, if you haven't had your thermal cycler PM'd in awhile, now might be a good time to check under the hood (lid) before you go cycling.